This Canada Day we bring you our fist ever 'Live-to-Air' Caribbean Patio Party. 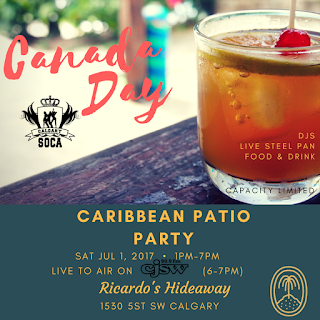 The crew will be broadcasting live from Ricardo's Hideaway, Calgary's premiere rum destination with over 75+ different rums on shelf! Join us from 1pm-7pm either inside, or on the patio as we play strictly Caribbean rhythms and even get some live Steel Pan music in the mix! 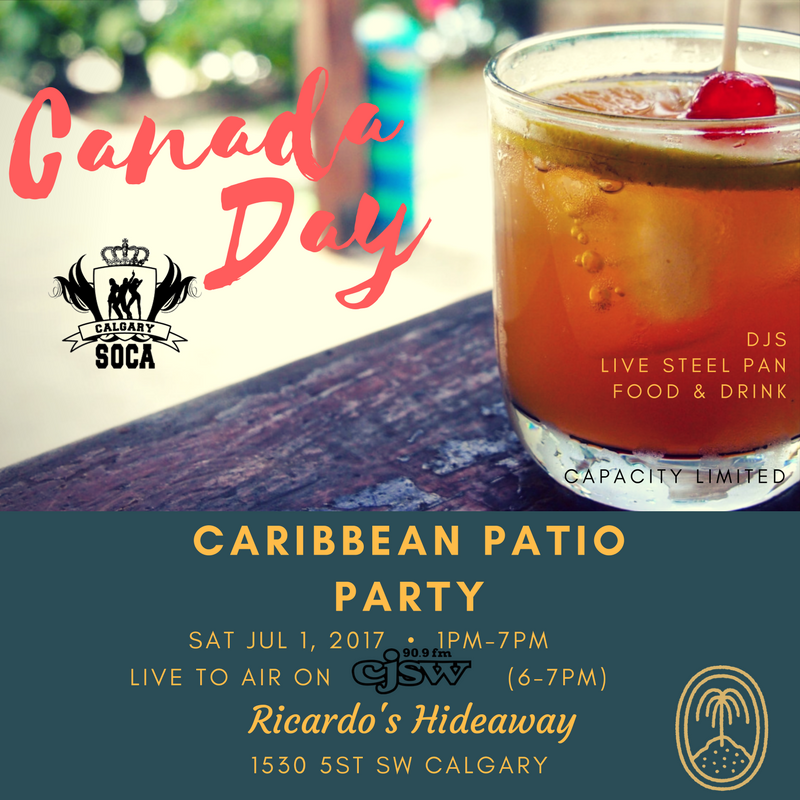 Great Food, Resort inspired Rum drinks, & genuine island music, all on Canada Day in Calgary for something truly different. Get on the guest list asap! ***Due to extremely limited capacity, Guest list unfortunately DOES NOT guarantee admission. Ricardo's also will NOT be taking reservations on Canada Day but rather attendance will be on a first come, first serve basis.